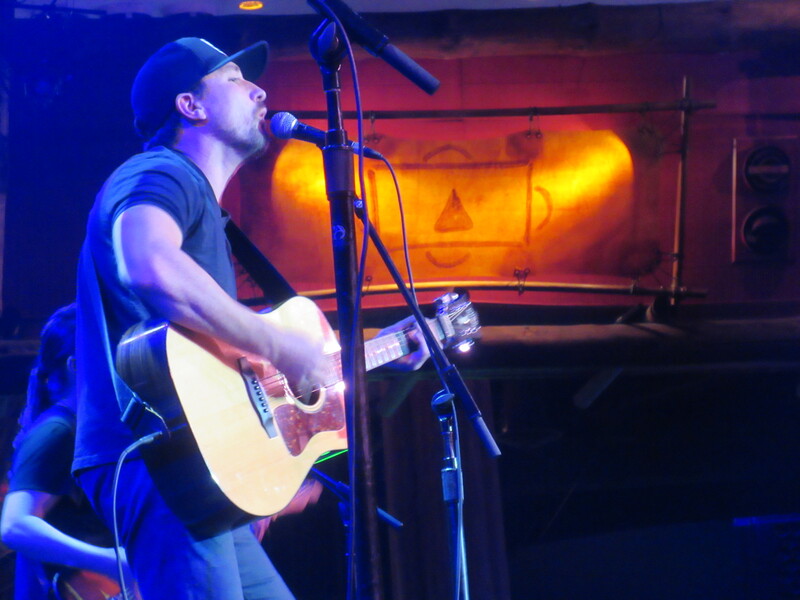 A multitude of music fans were treated to an impressive ninety minute set this past Thursday night, by one of Nashville’s up and coming singer-songwriters, Erik Dylan. For those of you who say you have not heard his name before, that could be entirely true. However, based on what is on Erik Dylan’s current plate, that is all about to change. 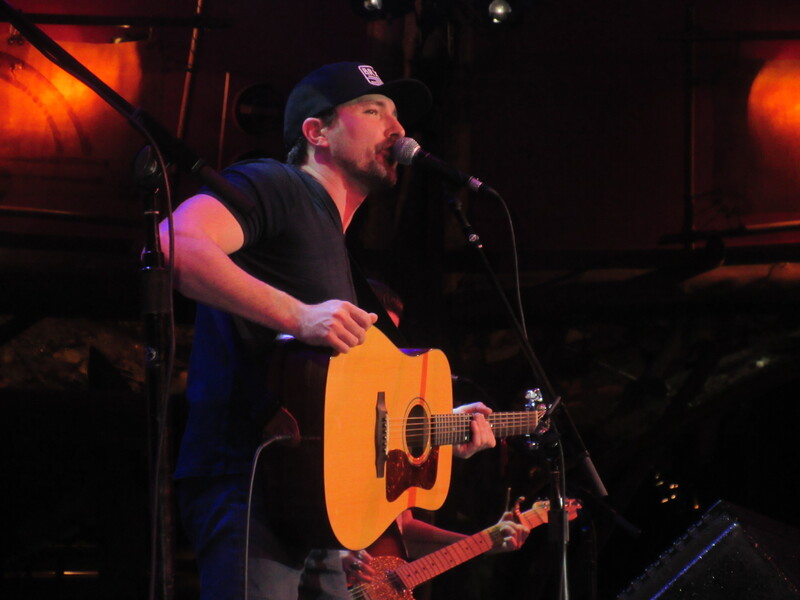 Erik took a few days off from his busy schedule on Nashville’s Music Row, where he is busy writing songs under his publishing deal with Cornman Music, as well as putting the finishing touches on an album he hopes to release in the first half of 2016. Backed by a full band at the intimate Wolf Den located in the heart of Mohegan Sun Casino in Uncasville, Connecticut, Erik showcased songs about his Kansas roots, love and relationships, life’s struggles and losses, and a few tunes about having some good old fun. 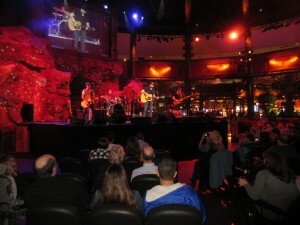 This was Erik’s second time playing Mohegan Sun, but my first time seeing his live show. I was very familiar with his music from the songs available for download on iTunes and the numerous clips from his die hard fans on YouTube. His set flowed seamlessly starting off with a touch of party mixed in with a couple classic rock covers, including mash-ups with songs from Steve Miller and Tom Petty. And his fans, who filled the Wolf Den to almost capacity, seemed to know each and every word to songs such as “Where The Party At”, “Beer For That”, “Hot Thing” and “Living For A Friday Night”, the latter of which has been getting steady airplay on Country 92.5’s morning show, the Electric Barnyard with Broadway. 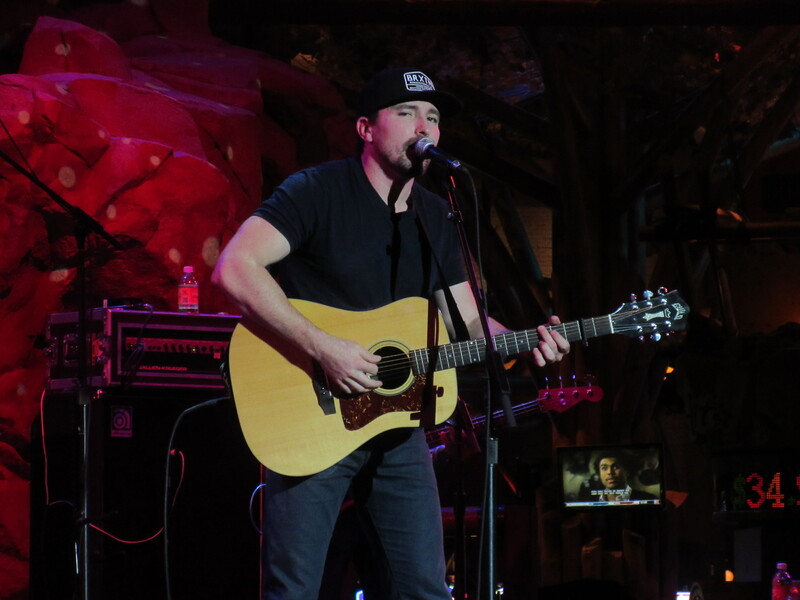 Erik has a very relaxed stage presence that is both smooth and soulful. The way he annunciates his lyrics is done with genuine confidence that would make you think he has been on the big stage for decades. The most impressive part of the set, in my opinion, was when Erik and his female guitarist were the sole people on stage for an acoustic set. The songs chosen for this portion were fan requested and it really highlighted who Erik Dylan is as an artist: a masterful songwriter who can paint a picture with lyrics. The songs “Experts On Sin” and “13th Floor” are as good of a song as I have heard all year as they touch on topics most songwriters won’t go near: the self reflective and suppressing feelings. “Fishing Alone” tugs at the heart strings as much as any tune out there, and “That Girl That Got Away” is relatable to virtually everyone. Erik performed a phenomenal cover of Garth Brooks’ classic, “Much Too Young To Feel This Damn Old”, but it was his version of “Comeback Kid” that had the crowd singing the loudest all night. 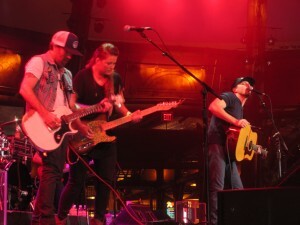 Erik co-wrote the song with Jeff Hyde, Ross Copperman, and Kip Moore and it is featured on Kip’s sophomore album, Wild Ones. 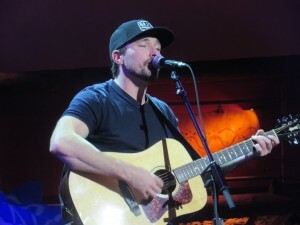 Erik explained that each songwriter connects with that song in a different way and that he wrote it with his wife in mind. In fact, the version he played that night featured a different second verse than the one that appears on Wild Ones. The entire acoustic set was masterfully executed and made the fans feel like they could have been sitting at a table at the Bluebird Café in Nashville. Erik cranked things up for the last portion of his set, which was highlighted by a stirring cover of “Copperhead Road” by one of Erik’s favorite artists, Steve Earle. His band hit on all cylinders complete with soaring guitar rifts backing Erik’s poignant vocals. The final two songs “Your Way Down” and “Hearts on Desire” are on two totally different spectrums both lyrically as well as sonically. But, it speaks to the versatility that Erik Dylan possesses. I caught up with Erik after the show where he shed some light on his upcoming project. He said the party tunes will not be a part of the album and, instead, there will be songs that really reflect who is as a person and where he came from in Kansas. He has been working with some of the best musicians and producers in Nashville and says that it is getting a lot of buzz on Music Row. He hopes to release it in the first half of 2016, but is not sure of the exact date yet. He also said a bunch of Nashville’s current radio mainstays, such as Eric Paslay, Justin Moore, and others he could not yet name, are cutting his songs and will be on their next albums. But, if Erik’s live show indicated anything, it shows that he has the chops to be one of those household names himself.